You are here:HomeBlog[CASP]: Children Welcomed Back to CASP Summer Camp. [CASP]: Children Welcomed Back to CASP Summer Camp. 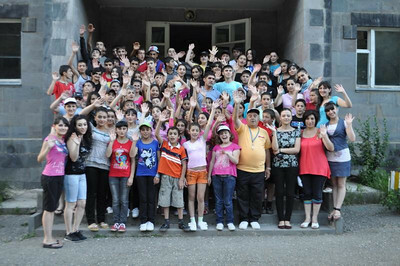 More than 80 children recently received a warm welcome back to the Siranush Camp in Yeghegnadzor this summer. 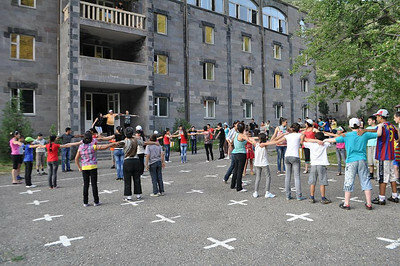 Each year children who are either orphaned or growing up in single-parent households are able to spend a few weeks at this summer camp, which is administered by FAR and supported by the Children of Armenia Sponsorship Program, a project of the Women’s Guild Central Council of the Diocese of the Armenian Church of America (Eastern). 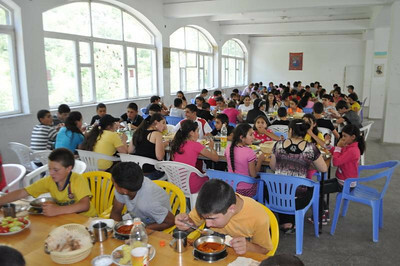 This summer children from Shirak, Tavush and Syunik marzes will spend their leisure time at the camp, which is located near the Eghegis River. Their days will be filled with various sports and games; during the evenings they will dance and sing songs together. The most interesting and fun-filled days await. 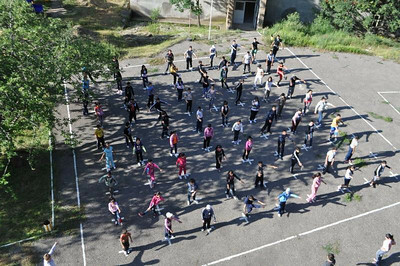 Eduard Karapetyan is FAR’s educational and science programs coordinator.